Summer Olympics Rio 2016 Medal Tally, Medal Count Table, Medal Hunting Status by country is here in Live action. Live Medal Tally of Rio 2016 Olympics is a list of participating countries order by most Gold medal winner, most Silver medal winners and most Bronze winner. 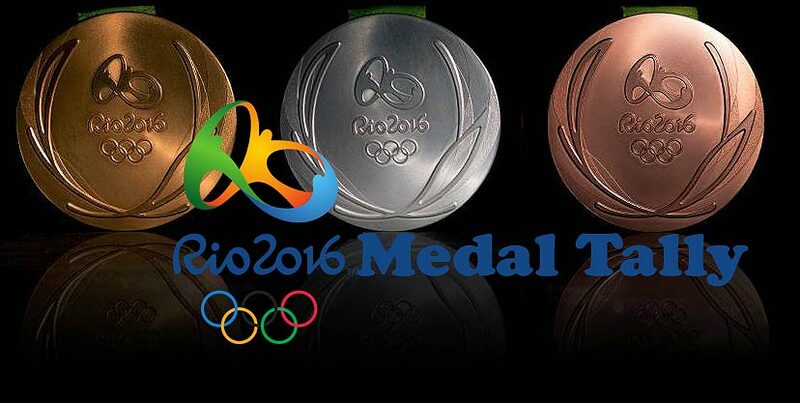 United State is the Leading medal hunter at Rio 2016 Summer Olympics, hosting in Brazil. Then China, Great Britain and Russia fighting for the second rank. In 2012, London Olympics, United States had won 48 Golds to become the number one in medal tally. China had scored 38 golds and Great Britain had won 29 Golds.